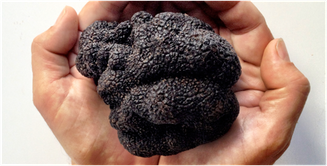 The Black Perigord Truffle is the legendary culinary black diamond of the kitchen - Tuber melanosporum - we have long read about in European magazines and associate it with the good life of champagne, caviar and a luxe lifestyle. Ah, the good life! Volker Miros, is the Truffle Guru, his interest in mushrooms at a very early age when mushroom hunting with his grandfather in the forests of around Stuttgart, Germany. Later in life, Volker’s interest in food steered him to become a prominent Food Photographer. First, a confession: I am a microphile at heart. As a young boy in Germany, my grandfather trained me to search for wild mushrooms in the forest. The splendid mushrooms we found were then served at our Sunday lunch. This fondest of childhood memories left an indelible, aromatic impression on me. I tried to grow boletus mushrooms for years in South Africa and never succeeded. I am a South African farmer, so failure was not an option but a challenge. 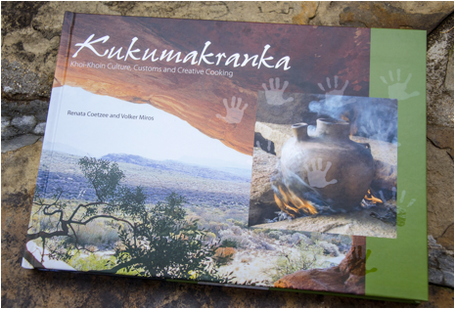 While researching our book, Koekumakranka, co-authored with Renata Coetzeé, I learned about the Khoi-Khoi culinary tradition of searching for and collecting the white Kalahari truffle, known as the "t-nabba". Writing about the Khoisan lifestyle, what they ate and how they lived, we found that truffles where a protein source for the Khoi-Khoin and were found mostly in the Kalahari. A wild truffle variety had then recently been found in South Africa for the first time on the chalk downs of the Southern Cape, assuring our scientists that truffles could be cultivated here. Through my search for t’nabba, I became interested in the other truffle, the Black Perigord Truffle. And so I began to research how to grow and inoculate black truffles here in South Africa. With the patience, determination and optimism of any good farmer, I succeeded. My initial research indicated that black truffles need winter cold, snow on the ground and frost, and I found that our farm in the Cederberg was ideal to grow truffles. So we decided to grow black truffles. It was soon clear to me that the internet was not nearly enough for my research. I sought out and met gurus of truffle production from around the world: phone calls and emails quickly created a bond between me and truffle growers and innovators from Italy, France and Spain and New Zealand. 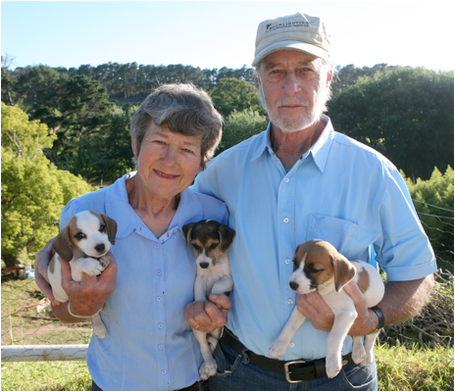 Woodford Truffles SA (PTY) Ltd is a joint enterprise between Woodford and the Miros Trust. Our aim is to establish a truffle producing agricultural industry in South Africa. We have been working on developing this industry for more than a decade. Our long, challenging and exciting journey to produce truffles has finally come to fruition and soon will be ready for an international world market. I began my visits to the European orchards in 2008 when Professor Alessandra Zambonell from Bologna University became a good friend and a great guide in our journey to produce truffles. Very quickly it became clear to me that the science of truffle production was the basis of success. I needed to learn what that science is. Many of us probably still associate truffles with all things European. When we think of luxurious black truffles we imagine the worlds of James Bond, the Italian Riviera or a Michelin-starred restaurant in France. But this is the 21st century: the world has opened up to truffles and truffle production in a big way. In the Southern Hemisphere, Tasmania, New Zealand and Australia are producing truffles. The newcomer is from South America: Chile now has a thriving truffle production industry. It took me ten years to accumulate the knowledge base required to create a successful truffle orchard. Besides the cold, the pH of the soil plays a most important role. Most South African soils are low in alkalinity and must be modified by adding copious amounts of lime, for example. We now know the technology for producing perfect truffle trees and have done this for six years already. First we import truffles from respected European exporters of the Black Perigord Truffle. We then test the DNA of each Truffle to assure us of our quality specifications. Via our top-secret formula, we inoculate young oak seedlings. These plants have been produced in a sterile media. This launches craving in these trees for the symbiotic relationship that is the genesis of the truffle. These inoculated trees are not yet ready to go into the farmer's land. We need to wait up to 18 months to know that inoculation has taken and is strong enough to produce truffles. Only then do we supply the trees to the farmer to be planted in his or her fields at the beginning of budburst. Timing is everything! Despite the intense demand, truffle collection in the wild in Europe has drastically declined over the last century by around 92.5%. This decline is due to many factors, not the least of which is the destruction of the truffles' natural habitats. True to the immutable laws of supply and demand, because of the decline in production, demand for truffles worldwide and their cultivation have become a very attractive prospect. Our truffle experts have developed superior technology for the production of inoculated trees and have developed a sound methodology for plantation management allowing plantations using this new technology to be subjected to the most rigorous and informed approaches in crop technology. Europe, South Africa, Australia, New Zealand, South America, Asia and North America all have areas with ideal climates for the cultivation of the black winter truffle, the Perigord Truffle. The black truffle grows underground on the roots of Oak and Hazel trees. Plantations of inoculated saplings can be established to grow these fungi in areas where the right cold units prevail. Truffle plantations typically begin to produce truffles after four to seven years and have the ability to yield £90,000 (R 1 260 000) worth of truffles per hectare when correctly cared for. With relatively low establishment costs and little maintenance, truffle plantations represent an excellent farm diversification or investment opportunity right here in South Africa. The price of truffles today at the farm gate is about €750 per kg and rising. South Africa will come into truffle production very soon and be able to supply the Northern Hemisphere markets thorough the establishment of the Partnerships between Woodford Truffles SA (Pty) Ltd and our selected producers. The technology developed and used by us to produce "truffle trees" is novel and has huge advantages over currently used technology. Our sterile environments and DNA certification ensures superior truffles and, thus, higher profit margins. 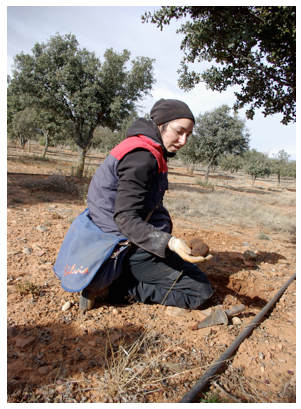 High inoculation levels guarantees colonisation, health and vigour before the truffle trees are supplied to the plantation location. We use large container cultivation. Our truffle tree partners can expect comprehensive advice and support throughout every stage of truffle farming from establishing the plantations to annual scientific analysis of plantation samples to international distribution of your truffles. Marda and Trevor Norris Woodford’s Dog Trainers showing the first litter of “Trufflers” to be trained into what we call formidable truffle “harvesting machines”. The dogs are a cross-breed between English Beagles and jack Russell, chosen for tenacity and great noses. The dogs now over a year old are doing exceptionally well at finding Truffle dummies already. Soon we will be able to put them to the test finding the real “Black Gold”. “Perigord Black Truffles”.